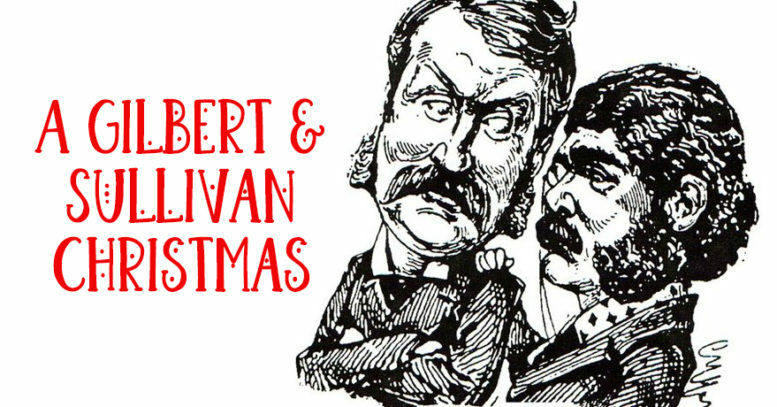 During their careers, both Gilbert and Sullivan contributed to Christmas entertainment in a variety of ways. Gilbert not only contributed through his written works, but his family also enjoyed spreading the Christmas spirit through their parties and pantomimes. Sullivan did not have a family, but he kept himself busy with his compositions, including four Christmas carols and opera collaborations with other librettists. Gilbert would often contribute to Christmas book collections. In 1865 Robertson, Hood, Gilbert, Prowse, Scot & Thomas Archer collaborated together to produce a Christmas book collection. Gilbert’s piece was entitled ‘The Key of the Strong Room’ (or ‘Johnny Pounce’). The collection was so popular, they went on to produce four more during 1866-1869. He also wrote a Christmas pantomime for a minor theatre company in 1866. The following year he helped Charles Millward write Astley’s Great National Pantomime entitled ‘Hush-a Bye, Baby on the Tree Top’, or, Harlequin Fortunia, King Frog of Frog Island, and the Magic Toys of Lowther Arcade’, a play on Ashley’s short-term manager and wealthy eccentric W.H.C. Nation. A few days after it premiered, Tom Robertson recommended Gilbert as a person who could write a pantomime within two weeks – and ten days later, ‘Dulcamara; or, the Little Duck and The Great Quack’ was ready. In 1867 Gilbert’s Christmas collection story ‘On The Cards’ was republished as ‘Diamonds’ in Routledge’s Christmas Annual, along with his text and drawings for ‘The Conceited Clown’. One of Gilbert’s first collaborations with Arthur Sullivan, ‘Thespis’ (or ‘The God’s Grown Old’) was 1871’s Boxing Night play for the Gaiety Theatre. Hollingshead had commissioned the piece and it outran five of its nine competitors during the Christmas season. Both Sir & Lady Gilbert were an active part of Bushey Heath Cottage Hospital, especially at Christmas time. As Gilbert was its Honorary Secretary. Gilbert himself played the king in his ‘Rosencrantz & Guildenstern’ play – produced as a Christmas charity event for the Hospital. Lady Lucy was in charge of Christmas entertainment at Grim’s Dyke & also at the Hospital. For the hospital, she arranged teas, with magic lanterns and a conjurer. Meanwhile, at Grim’s Dyke, she’d hold a Christmas party for the children of the domestic and outdoor staff. She’d give each of the children a useful gift (such as an umbrella or a writing case). Gilbert was seen as the magic uncle to his friends’ sons and daughters, throwing Christmas parties for them at Grim’s Dyke. It’s been said that he was one of the first to throw a party with an electrically lit Christmas tree in 1881! Although Sullivan didn’t compose operas specifically for Christmas, he was kept busy during the Christmas period. He composed music to four Christmas carols – ‘I Sing the Birth’ (1868), ‘It Came Upon the Midnight Clear’ (1871), ‘Upon the Snow-clad Earth’ (1876) and ‘Hark! What Mean those Holy Voices’ (1883), as well as writing arrangements and adaptations of traditional melodies. He did, however, compose music for several operas that ran over the Christmas period. ‘The Contrabandista or, The Law of the Ladrones’ was a two-act comic opera. It was the first full-length opera Sullivan had produced and he teamed up with F.C. Burnard. It premiered at St. Georges Hall on 18th December 1867 and ran for only 72 performances. In 1873 Sullivan contributed songs to Burnand’s Christmas “drawing room extravaganza”, ‘The Miller and His Man’. The light opera, ‘Haddon Hall’ saw Sullivan team up with Sydney Grundy for the libretto. It premiered on 24th September 1892 and ran for 204 performances. The last performance of ‘Haddon Hall’ was on 15th April 1893. Sullivan and Grundy teamed up again for ‘The Chieftain’. This opera was based on their previous success. In fact, the first act was the same as that of ‘Haddon Hall’, but they completely rewrote a new second act. ‘The Chieftain’ premiered on 12th December 1894 and ran for only 97 performances. ‘The Rose of Persia or, The Story-Teller and The Slave’ is a two-act comic opera, with music by Arthur Sullivan and the libretto by Basil Hood. It premiered at the Savoy Theatre on 29th November 1899 and ran for 211 performances, closing on 28th June 1900. It was the first major success the Savoy Theatre had seen, since the early 1890s. Hood and Sullivan teamed up again for ‘The Emerald Isle’, but Sullivan passed away on 22nd November 1900, leaving ‘The Emerald Isle’ unfinished. It was finally completed by Edward German in 1901.